In late 1923 the newly married Daisy Dalrymple and her husband, Detective Chief Inspector Alec Fletcher of Scotland Yard, come to America for a honeymoon visit. In the midst of a pleasure trip, however, both work in a bit of business-Alec travels to Washington, DC to consult with the US government, Daisy to New York to meet with her American magazine editor. While in New York, Daisy stays at the famed Chelsea Hotel, which is not only close to the Flatiron Building offices of Abroad magazine, where she'll be meeting with her editor, but home to many of New York's artists and writers. After her late morning meeting, Daisy agrees to accompany her editor, Mr. Thorwald, to lunch. But as they are leaving the offices, they hear a gunshot and see a man plummeting down an elevator shaft. The man killed was one of her fellow residents at the Chelsea Hotel, Otis Carmody, who was a journalist with no end of enemies-personal and professional-who would delight in his death. 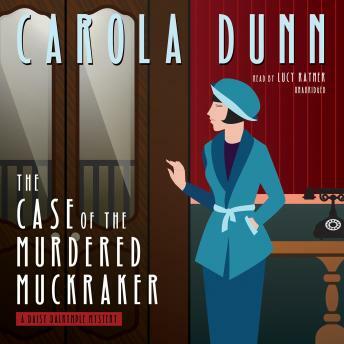 Again in the midst of a murder investigation, Daisy's search for the killer takes her to all levels of society, and even a mad dash across the country itself, as she attempts to solve a puzzle that would baffle even Philo Vance himself.